Nearly there…..our first split cassette release featuring ‘Arc Pioneer’ & ‘The Joy Fracture’. Art box edition, limited to 50 only. ‘Arc pioneer’ plays beautiful tuneful ambience which is backed by a 26 minute sound collage by ‘The Joy Fracture’ . 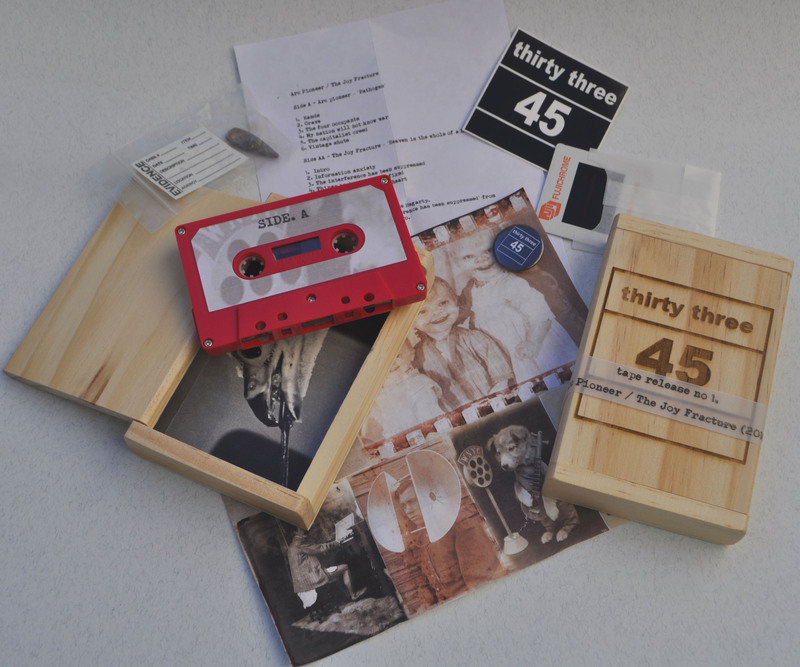 Comes in engraved wooden box with cassette,download, badge, sticker, random colour slide, spent bullet with evidence tag plus fold out insert.